Because you deserve to feel like you have someone to reach out to for support. Before I became a parent, I thought being the mom I had always wanted to be for my kids would come naturally. When I first became a mom, I found myself in a constant battle with overwhelm. I struggled to maintain a sense of calm and confidence, and I was constantly riddled with guilt. The worst part of all was that, in the face of the day-to-day demands of life with kids, I knew that I was missing precious opportunities to connect with my children. I wondered and worried that I wasn’t building loving and lasting relationships with my kids, and my relationship with myself was suffering too! I struggled alone for a long time. And the more our family grew, the heavier my load became. Finally, with four kids in tow, it grew too difficult to ignore. I scraped by on my own, until I finally reached out for help. By the time I admitted that I was struggling, and allowed myself time to acknowledge it, it became clear to me that I should have payed attention to myself and my needs much sooner- for everyone’s sake. I didn’t have anywhere, or anyone, to turn to. And I was afraid of being misunderstood and judged. Someone who could support and guide me…. Life could have looked a lot different for me. I know that my day to day interactions with my kids matter! And what’s more, they are also shaping who they become tomorrow. I don’t just want to survive motherhood, I want to enjoy it! And I want them to say “Thanks Mom. You did good”. There’s no reason any of us need to do this on our own. There’s no reason you need to feel disconnected, depleted, overwhelmed or anxious. You deserve to feel calm and confident in your life with kids. I’m here to give you the guidance and encouragement you need to get there. 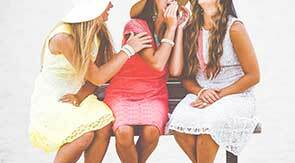 You deserve a community of women who will support you with warmth, understanding and wisdom. 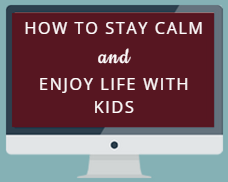 You deserve to feel calm and in control of the daily challenges of life with kids. And you deserve to feel confident that you are nurturing meaningful and lasting relationships and raising happy kids who thrive. To learn more about everything Motherhood in the Making has to offer, follow this link.